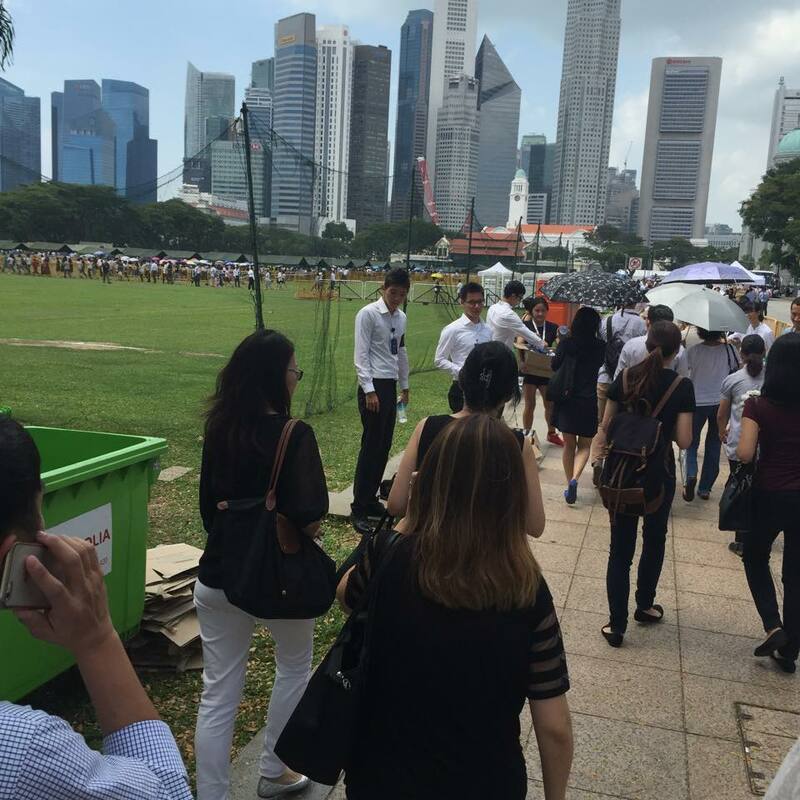 Yesterday, as the late Mr Lee Kuan Yew lay in state at Parliament House, tens of thousands of Singaporeans queued up to pay their respects to him. The greatness of his legacy was reflected in the overwhelming response, with the predicted wait time stretching to eight hours at one point. Once the announcement came that the Parliament House would be open to the public for 24 hours daily, those occupied with work or school dedicated themselves to queuing overnight. By midnight, more than 59, 000 Singaporeans had paid their last respects. As of now, the public turnout looks to be as strong, if not stronger, than the first day. In advance of the tens of thousands expected to arrive today, the queue that formed from 7AM onwards was directed to the Padang. It’s a mark of how far we’ve come as a nation that Singaporeans from all walks of life are rising to offer aid in any way possible. Currently, volunteers from the National Youth Council and Youth Corps are giving out water to those in the queue, with other volunteers guiding the crowds from Raffles City. Besides amenities such as portable toilets and a separate priority queue for the handicapped, the pregnant and the elderly, the Singaporean culture of civilised behaviour is also showing itself in other ways. Yesterday, the Straits Times highlighted spontaneous acts of kindness by several Clarke Quay bars, which gave out iced water to the crowds, and florist shop Artisan de Fleurs, which gave away white flowers for others to pay tribute. The queues themselves are testament to the graciousness of the Singaporean spirit so far — when the line stretches across traffic lights, people remain in orderly queues to cross the road. 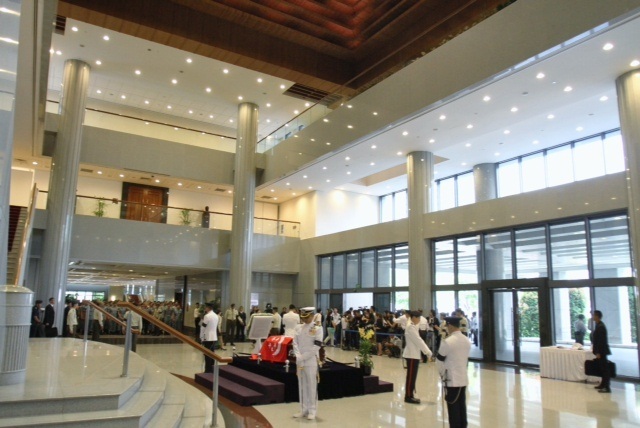 Currently, the crowds are still streaming in to pay their respects to the leader who built Singapore. As we continue to mourn our founding father, it is fitting that we embody the virtues he strove to instill in our young nation. These little acts of kindness, and the efficiency of the whole process, are in themselves the highest forms of tribute to the achievements of the man now lying in state at Parliament House.